The technical lecture entitled "Television - The Life Story of a Technology" was held at Arcadia Ichigaya, Tokyo on Thursday, November 19, from 5:45p.m.. Dr. Alexander B. Magoun (executive director of the David Sarnoff Library), Milestone Coordinator for the IEEE History Committee, explained the conception, birth, education, career, descendants, and death of television as a discrete technological system. 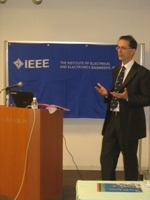 Dr. Magoun is the Milestone Coordinator for the IEEE History Committee. Dr. Magoun is also executive director of the David Sarnoff Library, an archives and museum for the Radio Corporation of America (RCA) under and after David Sarnoff's leadership. Since 1998 he has overseen every part of the Library's growth as an archives, museum, and educational center. The New Jersey Historical Commission honored him in 2005 and the Antique Wireless Association in 2007 for contributions to television history. He has presented over 60 lectures to professional, public, and academic audiences in eleven countries since he received the Ph.D. in history at the University of Maryland. Dr. Magoun is the author of David Sarnoff Research Center: RCA Labs to Sarnoff Corporation and Television: The Life Story of a Technology, and editor of the Library’s website, davidsarnoff.org. The First Transpacific Reception of a Television (TV) Signal via Satellite (1963), developed by KDDI Corporation, was approved as an IEEE Milestone on May 18, 2009. The Milestone Dedication Ceremony sponsored by the Tokyo Section was held at the exhibition hall of previous Ibaraki Satellite Communication Center at 11:00 on Monday, November 23rd. Dr. Eiichi Ohno, IEEE Japan Council History Committee Chair, explained the background of the approval. Dr. Alexander B. Magoun, IEEE History Committee Milestone Coordinator, presented a commemorative plate to Mr. Tadashi Onodera, President and Chairman, KDDI Corporation. 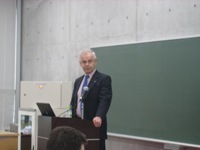 After the Milestone Dedication Ceremony, four lectures were held to commemorate the Milestone. The invited lecturers were listed below. Satellite Communication Antennas Isamu Chiba, Dr. Eng. 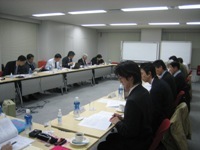 The 2009 Fourth Meeting of Tokyo Section Executive Committee was held on Friday, November 27, from 3:00 p.m. at Marunouchi Center Building, Tokyo. 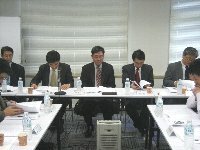 The 2009 Second Meeting of Japan Council Chapter Operations Committee was held on Friday, October 23, from 2:00 p.m. at TKP Tokyo Business Center. 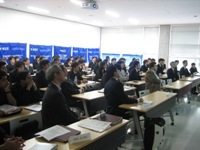 2009 Student Branch Leadership Training Workshop (SBLTW) was held at Tokyo City University on Saturday, October 24, 2009. 65 members, including 54 students from 19 colleges which have each Student Branch and 4 students from Tokyo University of Science which is now preparing to set up the Student Branch were participated. 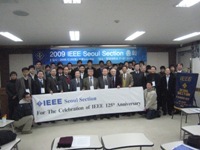 On the day before this, the IEEE 125th Anniversary Global Event Series Celebration was held in Tokyo, and the SBLTW in this year was connected with this event. Most participants of the SBLTW joined this celebration event, and fostered closer relationships with each other. The SBLTW began with the invited plenary talk of Dr. John Vig, IEEE president & CEO, who also attended the celebration event. Then, all the participants introduced themselves and each Student Branch reported their original activities. The activities of GOLD and Wie were also presented. In the afternoon session, R10 125th Anniversary Student Congress 2009 held at Singapore was reported. Then, JC SAC Vice-Chair/Trainer, Professor Onoye of Osaka University, lectured about IEEE overview and IEEE student branch administration and the introduction of GINI. After the lecture, students worked on the training program. The theme of the group discussion was "Logical Thinking". Finally, based on the mutual voting in the morning, excellent Student Branches were awarded. The Student Branch that won the most votes was Tokyo Institute of Technology, and the second winners were Tohoku university and Kagawa University. These three colleges were awarded as excellent Student Branches. Seoul Section Student Paper Contest 2009 was held at Hanyang University in Seoul on Saturday, December 5. 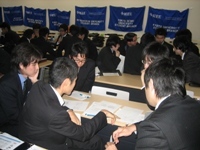 This was a contest cohosted by Tokyo Section and IEEE Japan Council, where students selected in Korea and Japan presented their research papers and competed for award. 28 research papers were presented: 8 at Devices & Circuits Session, 10 at Communications Session, 10 at Signals, Controls & Automations Session. From Japan, 5 students from Tokyo University, Keio University and Kyushu Institute of Technology as entries and Prof. Morie, Japan Council Student Activities Committee Chair, as a judge participated in this contest. The quality of each presentation was high. Among them, one paper as Grand Best Paper Award were selected. All other papers were given Bronze Paper Award. A Silver Best Paper Award went to Mr. Haichao Liang from Japan. After the contest, the Korean-style reception was held, in which every student, judge and Committee of Seoul Section participated, and they made friendship with each other. Have you renewed your 2010 IEEE membership? You can easily renew your membership online with your Web Account.